The AGM of Swinford Amateur Boxing Club will be held on Thursday 30 Oct 2014 @ 8pm in Meelick Community Centre. 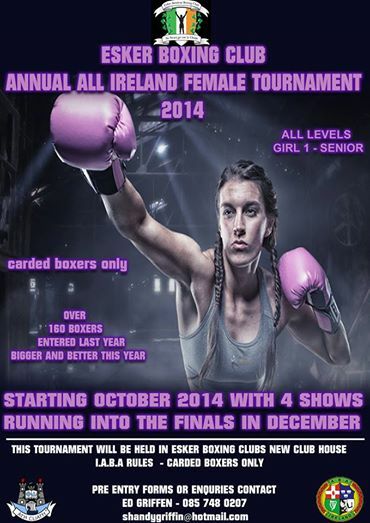 Notice of motions to swinfordboxingclub@gmail.com on or before Tues Oct 24th. Boxing Training returned Friday Sept 19th and continues each Friday @ 7pm in Meelick Community Centre for aged 8 years and above, boys & girls. 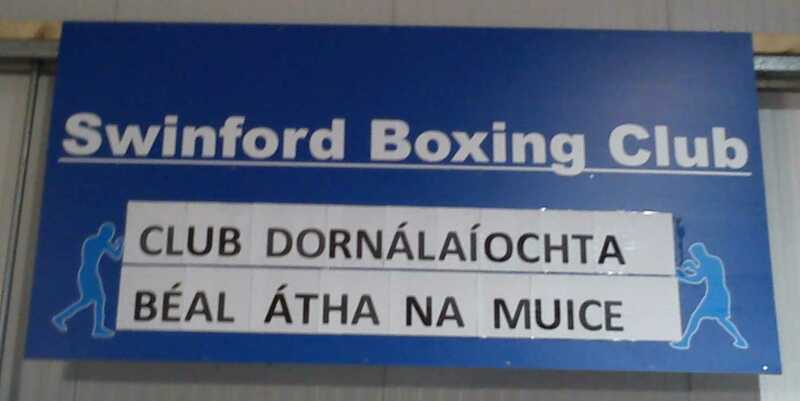 We will remain in Meelick on Friday nights for the coming weeks and Tuesday will be a sparring night for all those wishing to compete. Fee is €3 euros each night. Attendance at training is a must for those wishing to compete. Congratulations to Aoife Hennigan on winning a Gold Medal at the Celtic Box Cup in Waterford yesterday. 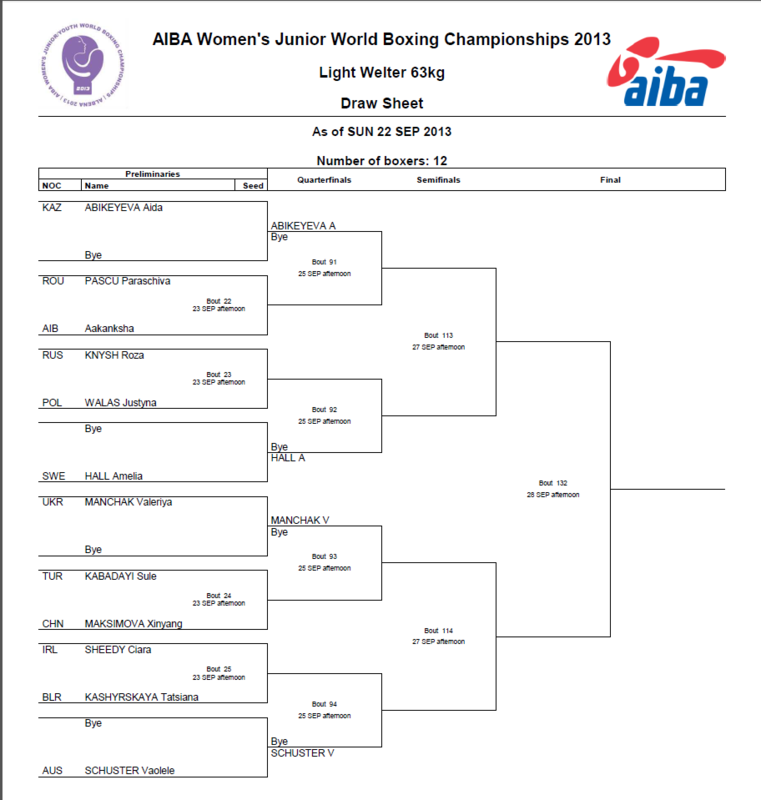 The Box Cup promoted by Dungarvan Boxing Club, was boxed on Friday, Saturday and Sunday, and featured boxers from 10 count…ries accross Europe and Africa. Featuring promintently were teams from the UK, Portugal, the Defence Forces and the International Universities. 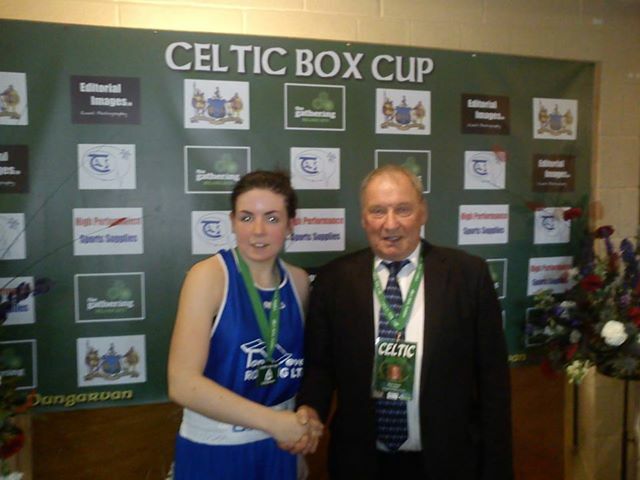 Aoife defeated Deirdre Begley of the Irish Universities team in a hard fought final, to secure Gold in preparation for the Intermediate Championships in November. 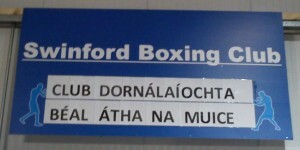 The club would like thank Dungarvan Boxing Club and the people of Dungarvan for their hospitality over the weekend. 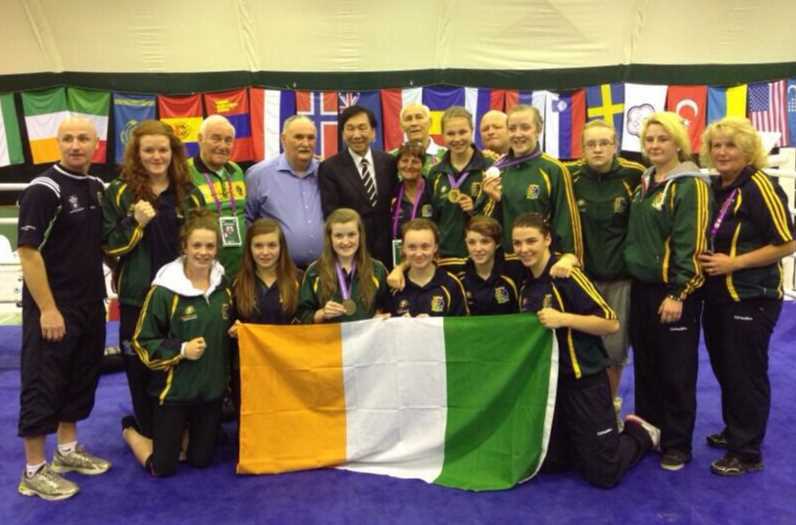 Congrats to Ciara Ginty, Geesala and Jacqui Lynch Golden Gloves, Belmullet, and to their clubs, on securing medals at the World Championships. 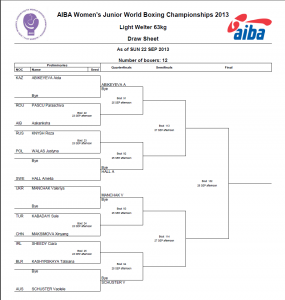 Ciara Ginty was crowned lightweight champion, and becomes Ireland’s second ever female World Champion, alongside Olympic Champion Katie Taylor. 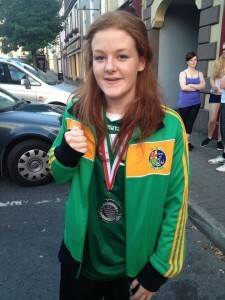 Jacqui Lynch secured a bronze medal narrowly losing out on a split decision, and Christina Desmond of Macroom took silver. 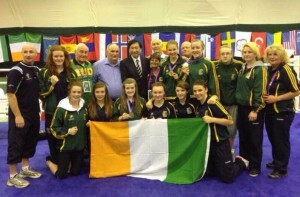 The Irish squad including the 5 Mayo boxers arrived home from the Championships in Albena, Bulgaria last night via Dublin Airport. A huge congratulations to all involved especially the Mayo ladies and our own Ciara Sheedy. Ciara Sheedy advanced to within one victory of claiming at least a bronze medal at the World Women’s Championships in Albena, Bulgaria today. Sheedy produced an outstanding display defeating Tatsiana Kashyrskaya of Belarus, on an emphatic 30-26, 30-26,30-26 unanimous decision. Australia’s Vaolele Schuster, who received a bye into the quarter-finals, awaits Ciara at the business end of the tournament on Wednesday.